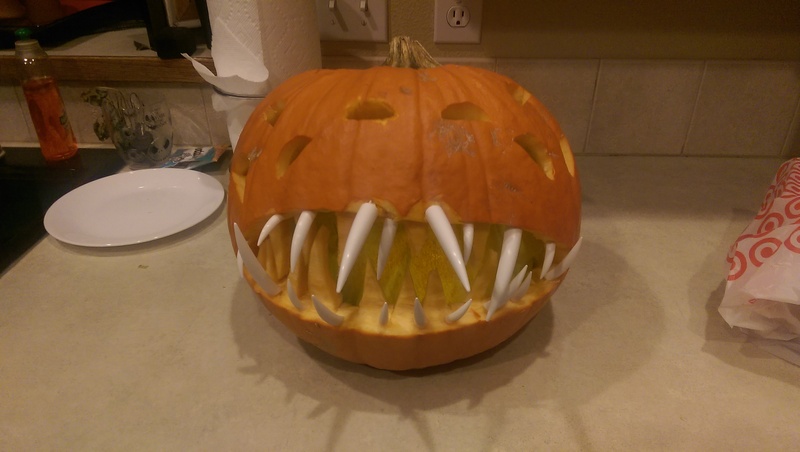 Master of World of Warcraft : Wanted to share my Yogg Saron Jack-O-Lantern with everyone. 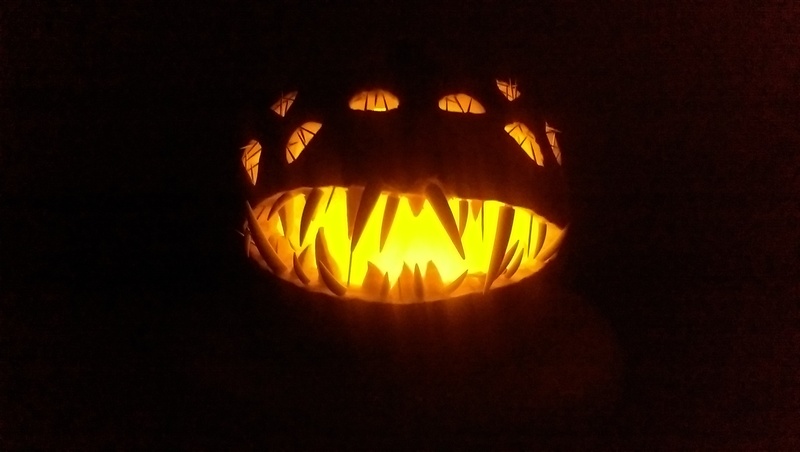 Wanted to share my Yogg Saron Jack-O-Lantern with everyone. I used parchment paper inside to hide the LED candles. Gives it a nice glow. 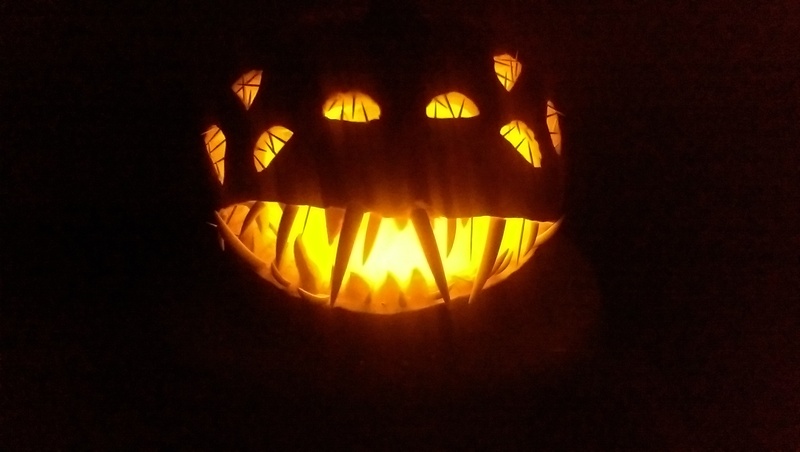 I carved several teeth out of the actual pumpkin to give the mouth some depth, but I used plastic stick in teeth for the protruding ones. I'll admit it's cheating a bit, but I feel it's worth the effect. Cower before my true form! Not so scary in the light, but I'm super happy with how it turned out! Happy Hallows End!